Cape Town - The year 2018 is significant in South African history as it is the centenary year of the country's greatest leader, Nelson Mandela. In honour of Madiba, national government, industries and the Nelson Mandela Foundation - among other organisations - will host a number of events in celebration of his centenary and to continue his legacy. 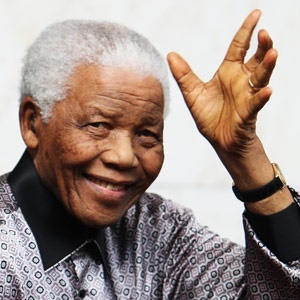 The National Department of Tourism (NDT) in collaboration with the National Heritage Council (NHC), South African Tourism (SAT) and the Nelson Mandela Museum launched the Nelson Mandela Centenary Tourism Programme in Mthatha, Eastern Cape, on Saturday, 10 February - one day ahead of his release from prison 28 years ago. As part of the celebrations, ‘Release Mandela Historic Memories’ was launched. This initiative commemorates the 28th anniversary of the release of the former president and various political prisoners from custody on 11 February 1990. Tourism Minister Tokozile Xasa says "the launch of Historic Memories is part of the conversations that we are opening so that our communities share experiences. We want to take those experiences to our young children in schools and to youth, because Mandela is an inspiration to youth." The department also announced the 100 places and spaces App developed by SAT to encourage tourists to have an "experiential interaction with the sites" that have a connection with Madiba. Xasa says the App will connect people to sites that have historical significance to Mandela's life, and will promote domestic tourism. "The Mandela App has 27 sites at the moment. We had been using it for international tourists but we are now training local people to tell these Mandela stories," she says. Xasa also announced the NDT's programmes aligned to the centenary celebration, which include the hosting of the annual World Tourism Day Celebrations by the Eastern Cape provincial government on 27 September 2018. "We plan to change this place [Eastern Cape] in honour of Nelson Mandela," she says, adding that a number of tourism drives will be happening in the province such as a pilot shark cage diving project at Port St Johns. Xasa's message to South Africans is that the centenary celebrations give us a chance to "relive that history" and "really get back to understanding where we come from". "This is what he lived for and died for. We can never therefore take South Africans back to those moments when people were disregarded and treated without dignity," adds Xasa. More details of the NDT's programme will be released soon, but ahead of the centenary plans, here are three Madiba sites every South African should visit. Nelson Mandela and many other political activists were imprisoned on this island off the Western Cape coast, which is now a World Heritage site and museum. It reminds South Africans about the country's difficult past and the price these struggle heroes paid for our freedom. Just outside Howick in the KZN Midlands is one of the country’s most interesting historical places – the site where Nelson Mandela was captured. Artist Marco Cianfanelli built the sculpture with 50 steel column constructions between 6.5 metres and 9.5 metres tall. They are aligned to form a portrait of Nelson Mandela and in the background one can see the hills and valleys of the Midlands. The steel columns are a representation of Mandela’s imprisonment where he was captured in 1962 before he was sent to Robben Island. Visitors can also stroll through the museum at the site. This project, a "presidential 5-7 star tourism product" expected to be ready for business in 2019, will see the conversion of Nelson Mandela’s primary residence into a place of scholarship and reflection. The aim is to create an avenue that will provide visitors with additional insights into the Mandela Heritage. The project will offer an experience inspired by Madiba's life while he resided and worked at the property, and “create a special retreat and reflection hotel".